Bounce Exchange Rate For Wednesday, September 12, 2018. We noticed that the Chinese Yuan rates against the Naira has been quite stable for a while. 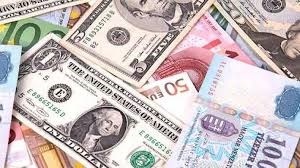 Perhaps, the volume of trade between Nigeria and China taking advantage of the currency exchange is not significant enough to cause a shift yet. Here are today's foreign exchange rates for the top currencies all over the world in this format - BUY/SELL.